- Ricochet defeated Dezmond Xavier with a kind of flapjack uranage. Lots of great flying moves in this one. It was a very good match. - Travis Banks defeated Marty Scurll with a reverse of the chicken wing into a front rolling cradle. Good match and a huge pop for the upset finish. Scurll played the role where Banks wasn't in his league. - Keith Lee defeated Donovan Dijak with a jackhammer slam. This match was insane. It was among the best matches of the year and it was the most acrobatic agility combined with power moves based big man's match I've ever seen. Fans were chanting "five-star match" and then "six-star match" when it was over. - Rey Fenix defeated Zack Sabre Jr. with Sabre's own usual bridging pin. They had to follow the prior match and did mostly a mat-based bout that turned out to be excellent. - Jeff Cobb defeated Sammy Guevara in a short sprint with the Tour of the Islands. Guevara packed a lot into the short match. - Matt Riddle defeated Penta 0M in another excellent match with MMA elbows on the ground and a twister submission. - Ricochet defeated Travis Banks in an excellent match as well. - Keith Lee defeated Fenix with a powerslam and jackhammer. This was kept short and was good at the big man vs. little man style while it lasted with hard chops back and forth. - Jeff Cobb defeated Matt Riddle in a match with a lot of heat. This was also kept somewhat short, but it was very good. People were surprised by the finish and popped big for it even though it felt like Riddle was the crowd favorite to win. - Joey Janela, Mark Haskins, Flamita, Flash Morgan Webster & Chuck Taylor defeated Trevor Lee, Brian Cage, WALTER, Sami Callihan & Jonah Rock when Taylor pinned Lee with a piledriver. 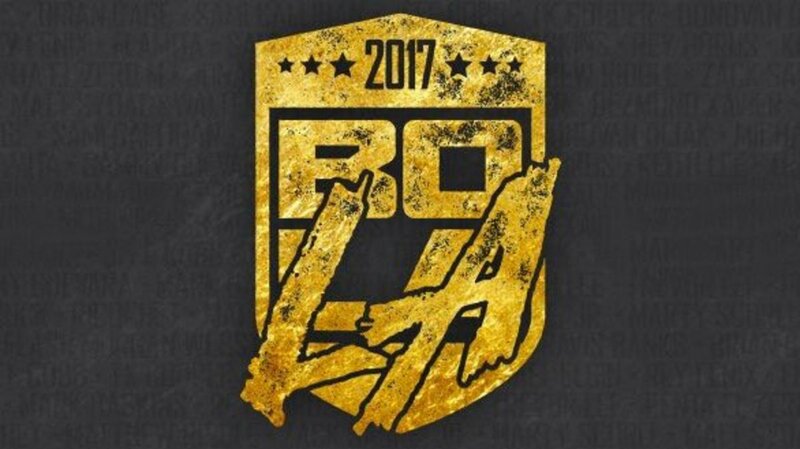 They did none of the usual comedy that is noted every year in the ten-man tag on the final day at BOLA. It was just a fast-paced long match to give the three guys in the finals some time to rest. This turned out to be excellent. It was five-on-four and Taylor came down from the commentary booth, then said he had to change into his gear, so he didn't get in the match until several minutes in. Pretty damn great with the big guys beating on Ricochet, and Ricochet doing power moves on them back which popped the crowd. He did 630s on both and incredible running dives on both as well. He paced himself, saving his best weekend stuff for this match rather than doing it early. The finishes were quick as Lee pinned Cobb with the jackhammer and about 20 seconds later, Lee went for the jackhammer on Ricochet, who reversed it into a cradle. Ricochet challenged Taylor to a title match and they had a square off. This win felt like a going away present for Ricochet. He noted he's the only guy to have won BOLA twice and said he would check one last thing off his list, winning the PWG title, before he moves on to bigger and better things.